Cluster flies particularly a nuisance as they leave stains on walls and curtains. If the flies die within the wall voids, they may attract larder beetles, which will feed on the dead flies and then migrate to other areas of the house. Cluster flies are dark grey with black and silver (non-metallic) checkered abdomens. They are a nuisance as they leave stains on walls and curtains. Before and during hibernation, they will cluster together hence the name “cluster fly”. Cluster flies are dark grey with black and silver (non-metallic) checkered abdomens, ranging from 8 mm to 10 mm long. They have many golden hairs on their thorax (these may or may not be present on older flies) and their wings overlap when they are at rest. During the winter, cluster flies hibernate in hidden areas inside properties such as in wall voids, attics, closets and empty rooms. In the spring, they will sluggishly migrate from their hibernating areas to living spaces and gather on windows as they are attracted to light. If disturbed during hibernation, a gathering of cluster flies may emit a sickly, sweetish odour. Female cluster flies’ mate between late summer and early fall and lay the eggs in cracks in the soil. The eggs hatch within three to seven days. Shortly after hatching, the larvae look for an earthworm and bore into it. The cluster fly larva will use the earthworm for food until it completes its development. The development period to an adult is about 27 - 39 days. 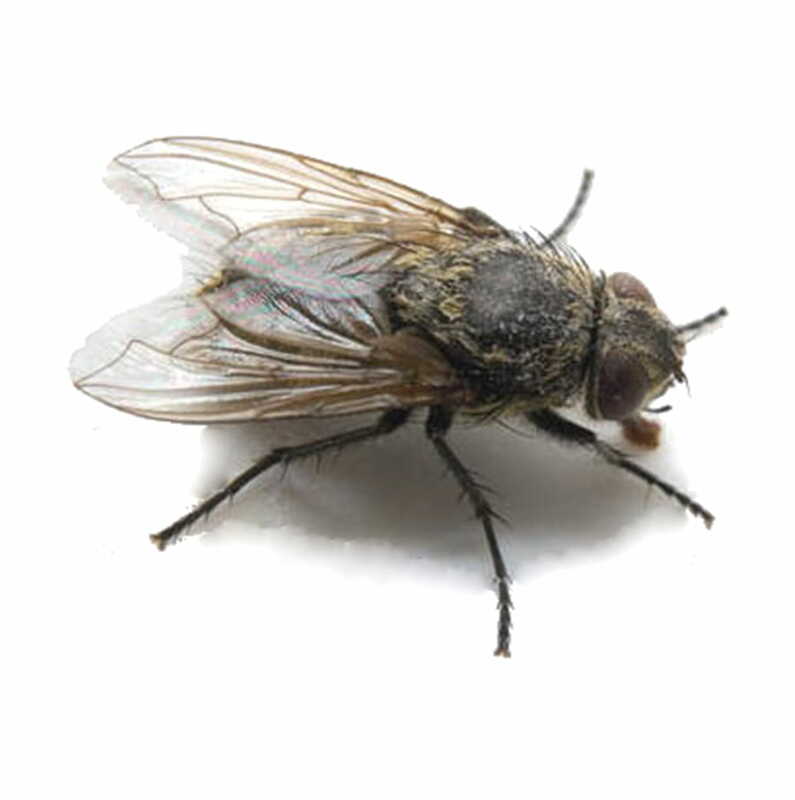 During mid-summer, adults cluster flies will emerge from the soil, repeating the cycle come later summer or early fall. The name “cluster fly” is derived from their habit of gathering in clusters before and during hibernation. Are Cluster Flies hazardous to humans? Can Cluster Flies cause damage to my property? 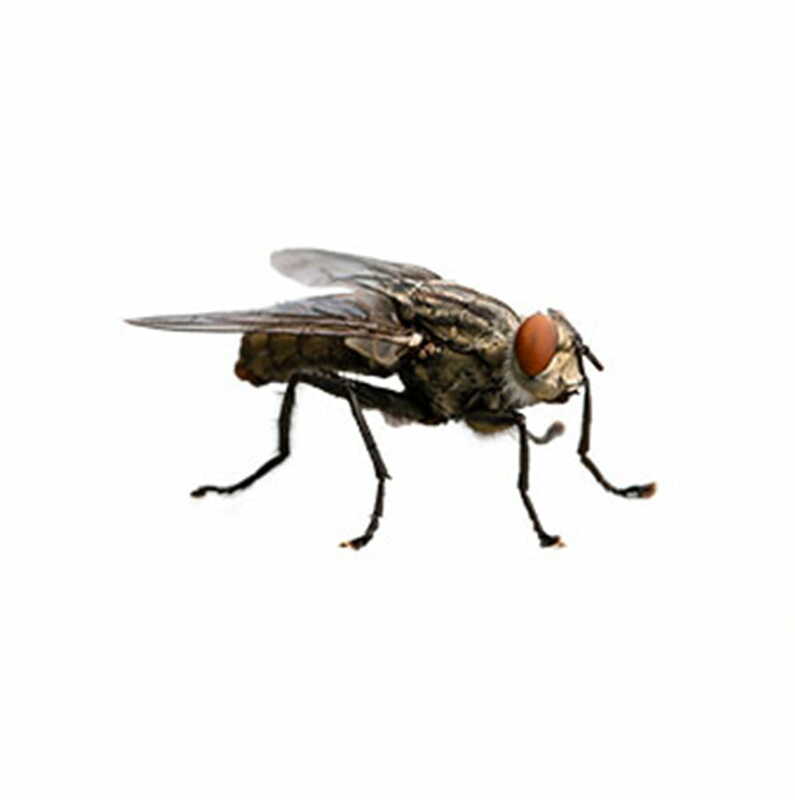 Cluster flies may occasionally leave small dark-coloured spots of excrement on windows and walls. They can also leave greasy stains in squashed on window sills, walls, curtains or carpets. How can I prevent a Cluster Fly infestation? The best defense against a cluster fly infestation is to prevent their entry into the property. Seal the roof, windows, doors and wall cracks. How do I remove a Cluster Fly infestation? As cluster flies are sluggish and congregate in large volumes around windows and lights, use a vacuum to remove large numbers of cluster flies that are in hibernation. Electrical light traps also prove effective in attracting flies inside structures. 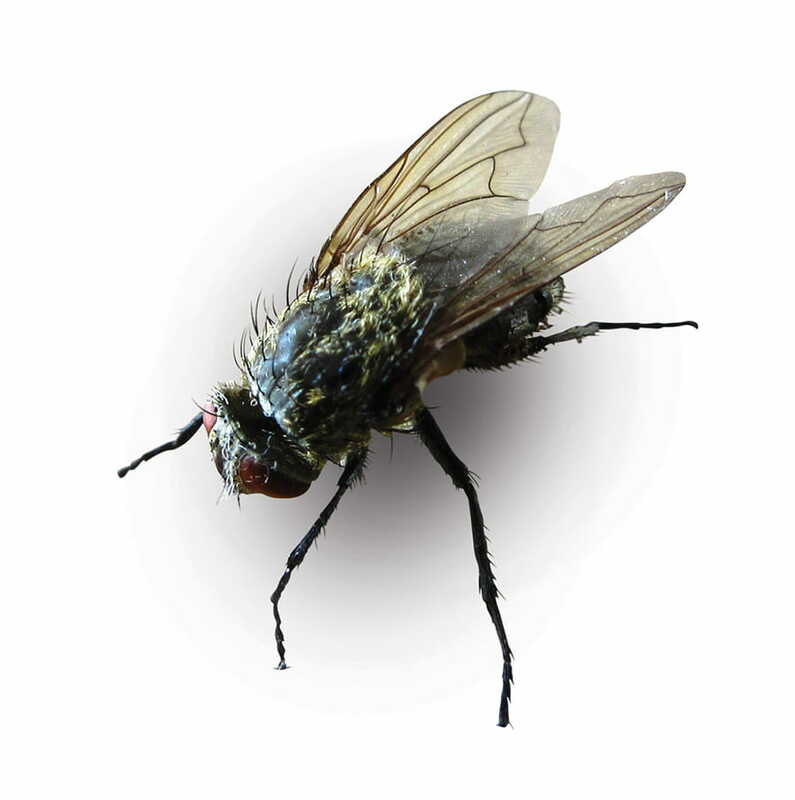 However, once you have a cluster fly infestation you will most likely experience an annual pestering of them. Contact Abell Pest Control, we have expertise in cluster fly preventative and control, and we can help you solve your infestation problem.